308 Mountain Ave, Mountain Brook, AL.| MLS# 839325 | Richard Jacks UABLIVING.com 205-910-2297 | Birmingham AL Real Estate | Contact us to request more information about our Homes for Sale in the Birmingham AL area. 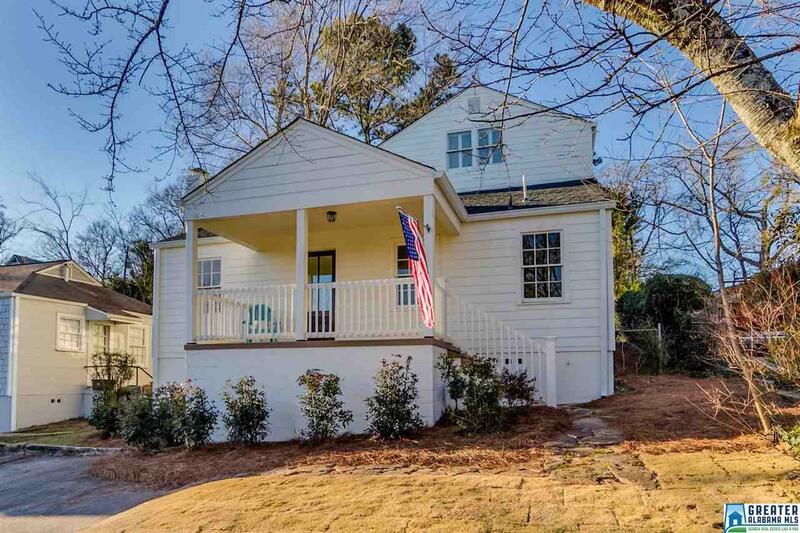 Move right into this precious 3 bedroom and 3 bathroom cottage in the heart of Crestline! Fresh and clean with tons of natural light and open floor plan. Fabulous renovated kitchen with new stainless appliances, new tile backsplash and new marble countertops. Bright living room open to den and dining room. Newly-remodeled bathroom on main level with stunning marble bath. Large master bedroom with large walk-in closet and ensuite master bath-complete with new beautiful marble shower and a sleek glass door. Upstairs, you will find two charming bedrooms and newly renovated bath with marble shower. Don&apos;t miss the two new decks in the large backyard. Brand new roof! Brand new siding! Freshly painted inside and out! Refinished hardwoods! Brand new Landscaping! Brand new master bedroom carpet! Brand new decks!